Samsung Galaxy Note 9 is going to be unveiled at Samsung’s Unpacked event on August 9, and we’ve even seen the company’s CEO using the smartphone in the wild. But that doesn’t mean the rumor mill is going to stop drip feeding new information about the upcoming smartphone, even if we are only just over two weeks away from the big reveal. This time around, we’ve got two new images of the phablet. 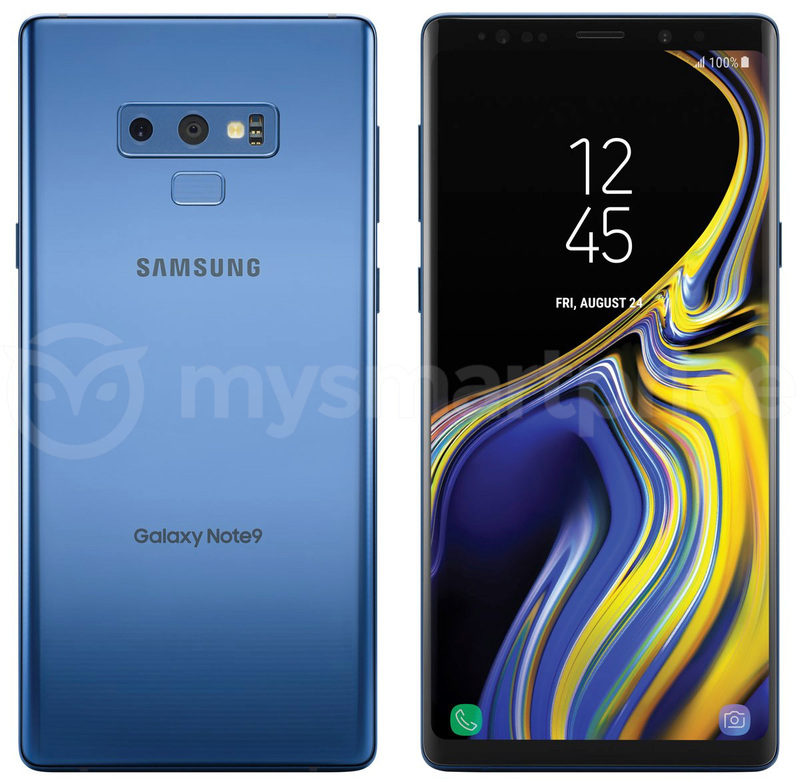 The first of which shows the Galaxy Note 9 in Samsung’s Coral Blue color scheme, courtesy of the folks at MySmartPrice. 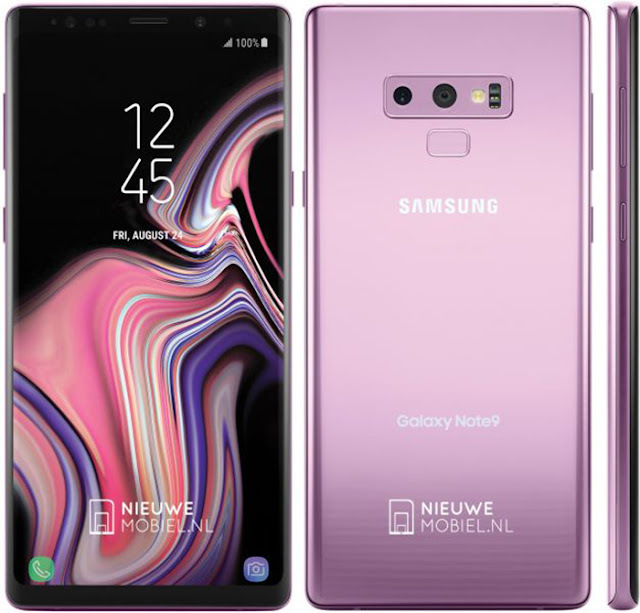 The other image shows off the Galaxy Note 9 in Lilac Purple, courtesy of NieuweMobiel.nl. In both instances we get a clear look at the front and back of the phone. Up front, we can see the minimized bezels as part of Samsung’s Infinity Display design. On the sides we’ve got the standard power button on the right, the volume rocker on the left, and the dedicated Bixby button just below the volume on the same side. Around back, there is the dual camera design and the fingerprint reader that’s just below it. Other than a few key changes, the Galaxy Note 9 looks a lot like the Galaxy Note 8, but that isn’t too surprising at this point. As far as specs are concerned, we’ve only got rumors to go off. The upcoming handset is said to feature a 4000mAh battery, and there will probably be a Qualcomm Snapdragon 845 processor running the show.